lofoten Gore-Tex Pro Pants for men is rated 5.0 out of 5 by 27. Byxorna lofoten Gore-Tex Pro ändrade spelreglerna för en ny generation av skidåkare och togs fram utan kompromisser för att ge skydd under de mest extrema förhållanden vid freerideåkning på stora berg. Precis som originalet har de nya byxorna en ledigare passform och unika funktioner som benfickor för enkel förvaring, långa dragkedjor för utmärkt ventilation och extremt hållbara förstärkningar på nedre delen av benen för att skydda byxorna mot stålkanter. De starka färgerna som användes i originalsortimentet återkommer i en modernare, dovare tappning, men de är fortfarande tillräckligt kraftfulla för att synas väl. Byxorna har en avtagbar hängseldel som hindrar snö från att leta sig in i byxorna och håller dem samtidigt på plats. Rated 5 out of 5 by Frantz765 from Best ski pants Light and durable. Great for off piste and resort. 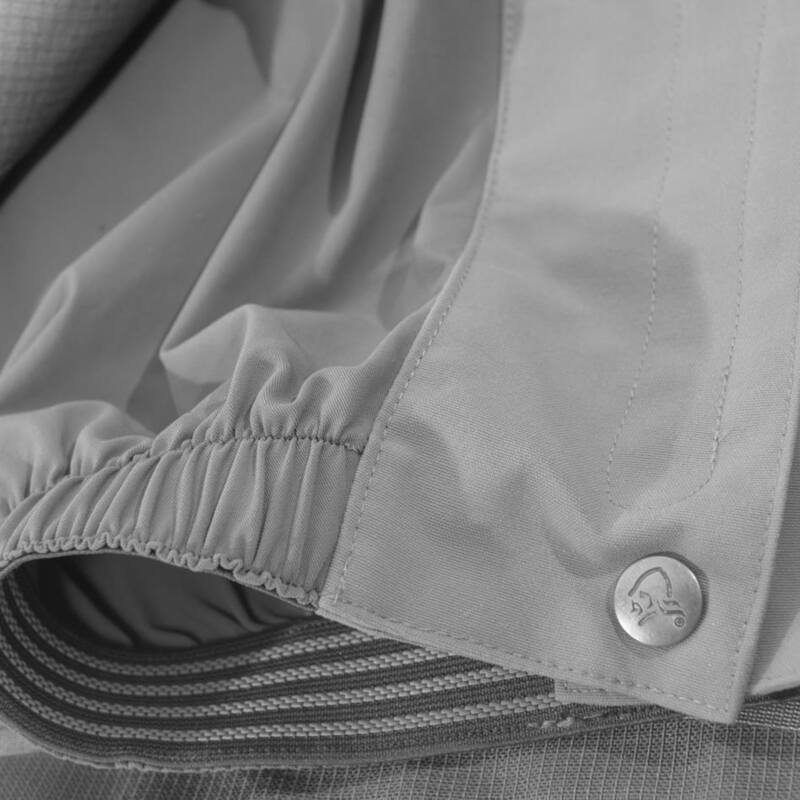 Rated 5 out of 5 by Per Anders from Perfect pants Perfect with the right details made in a high quality. Rated 5 out of 5 by Saint from Near Perfection in a pant shell I've used these heavily over the last 30+ days in the Cascade, Wasatch, and Selkirk ranges in the Rockies. A near perfect pant shell for big mountain and touring. The fit is generous and allow ample layering underneath if needed without anything bunching up. The wallet-size hip pocket is just big enough for a thin wallet. The pockets are large enough to fit thin gloves and liners together along with other quick-grab items like chap stick, small containers of sunscreen, wrench/screwdriver tool, and a couple of small snacks all together without being overloaded. They would be perfect for a beacon IF there was a loop to attach a beacon tether to (similar issue as the dedicated touring, lyngen, line). The full-length leg zipper with the snap-and-velcro gaiter allow you to put-on and take-off without taking your boots off! And the fact that the gaiters come apart makes them perfect for my snowboard / splitboard boots. Lastly, the attachable bibs are snug, which is somewhat nice, but they do not allow for much layering underneath; this means most layers other than a base layer or so must go over the bibs if you want the bibs to zip up. Rated 5 out of 5 by MrBergentz from Just keeps on performing! I have had my pants for a season and a half now, and every time I use these pant I just fall more in love with them! Great loose fit for a tall guy like me (197cm and 94 inseam, running size XXL), but still with a bit of an athletic taper in the legs! Pockets are nice and deep, and I for one don't need to be able to put my transceiver in my leg pocket. 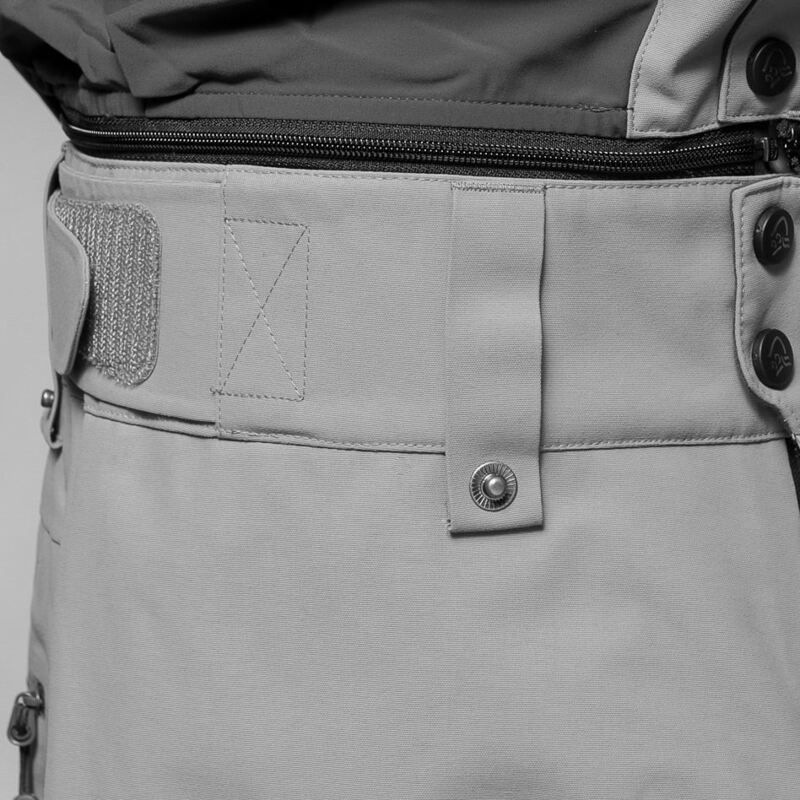 Nice full zippers on the outside legs and the top and bottom gaiter buttons is probably the nicest design feature of these pants! Just makes it putting them on and taking them off is so smooth! 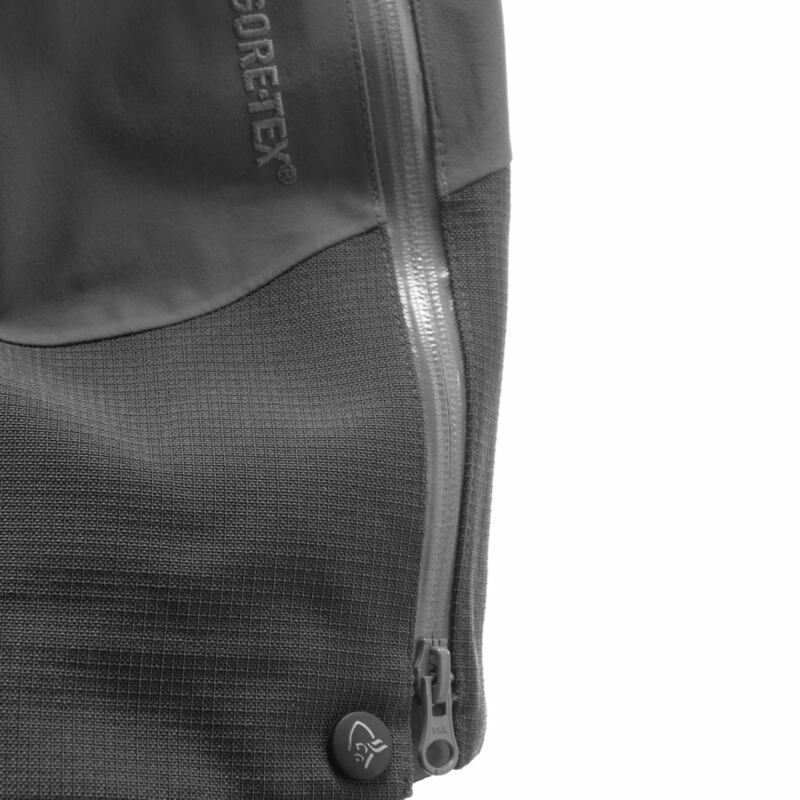 Maybe one thing to note on is that the vertical bib zipper is not the most sturdy construction, but it's not really anything that compromises the function of the pants! To the technical part about the pants: Been skiing and touring a total of about 100 days in these and I've been pretty meticulous with the care of them! Washing them from time to time and making sure to take good care of the waterproof membrane! I have not actually seen any sort of loss of membrane function yet, even after such a long time! Ordered a second pair from the outlet a couple of weeks back, just cause I love them so much! I hope that the current cut of the pant is something that will carry on to future designs, cause it is great! I am 195cm, 33-34in waist and currently have a rodal jacket in large would large be the right size for me and does the lofoten pants connect with rodal jacket? I am 188 cm tall, 80 kgs, own the Lofoten pants size M, which fits me very well. When wearing skiboots, the lengths does not matter that much, in my opinion, as long it is not too short. Hi, I own previous model of lofoten pro jacket (light blue). I wonder if these new pants are compatible with my jacket i.e. can I connect them vie metal press studs. Yes, no problem with connecting the jacket and pants. New pants are more comfortable yet sturdier than previous ones. Enjoy! Has the fit/cut of the 2018/19 pants changed from last year? What about the Goretex fabric? Are the only differences in color?? Is there a video showing how to use the zip-seal system? &nbsp;I can&rsquo;t figure out how to connect the snow skirt of the jacket to the pants as shown (briefly) in the product videos? Is there a separate skirt i&rsquo;m missing? 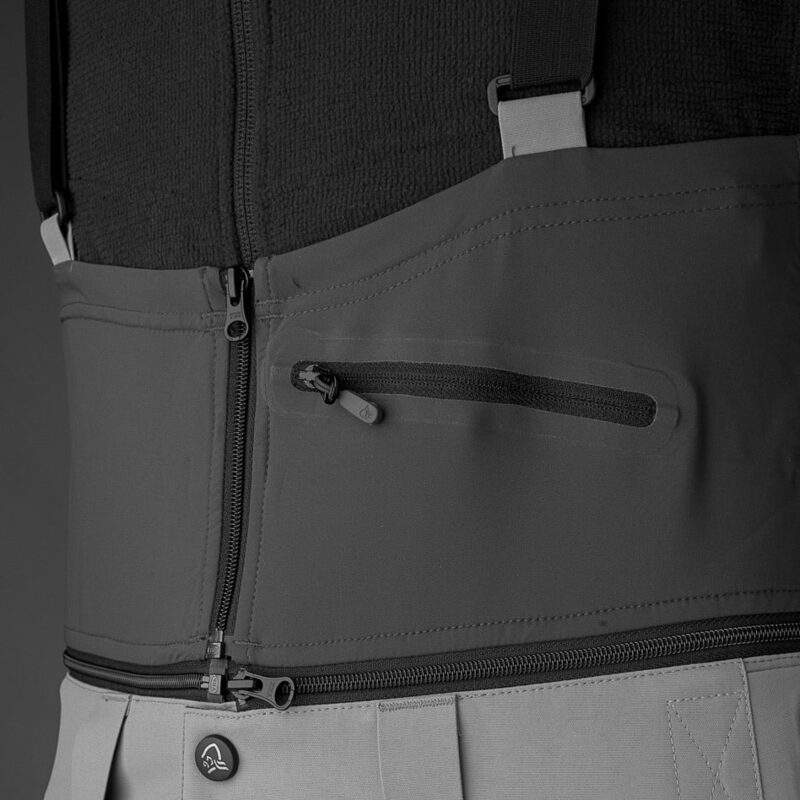 Hi NZMike,all the Lofoten jackets can interconnect with the lofoten pants via press studs between the jacket powder skirt and the top of the pants (see video).This creates a great seal for those big powder days as well as keeping the warmth in and cold out.I have used this system faultlessly for the last 6 years in Canada and it still allows great dynamic flexibility. Hi! I would be very interested in this pants, but unfortunately the size M, which is perfect in fit, is very very short for my leg length. would it be possible to have a size M with length of size Xl? Thank&rsquo;s!